Clearly it has taken a little time to come up out of the widow’s fog, but I want to start making more regular posts again. I wanted to start off with the last project Craig was able to complete. We have several more in the works, but those are still taking some time. 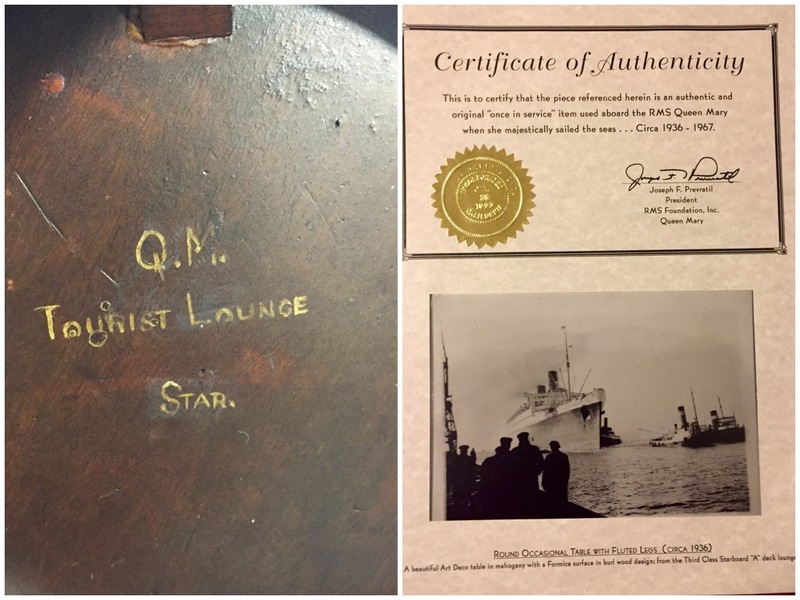 A while ago we got a couple of dining room chairs from the First Class Restaurant of Queen Mary. Somehow along the way, two chairs became a quest for six, and we wanted to get them restored in fabric that related to the original fabric used. This turned into one of our biggest projects, first searching out and finding enough chairs, and secondly finding just the right fabric to use. 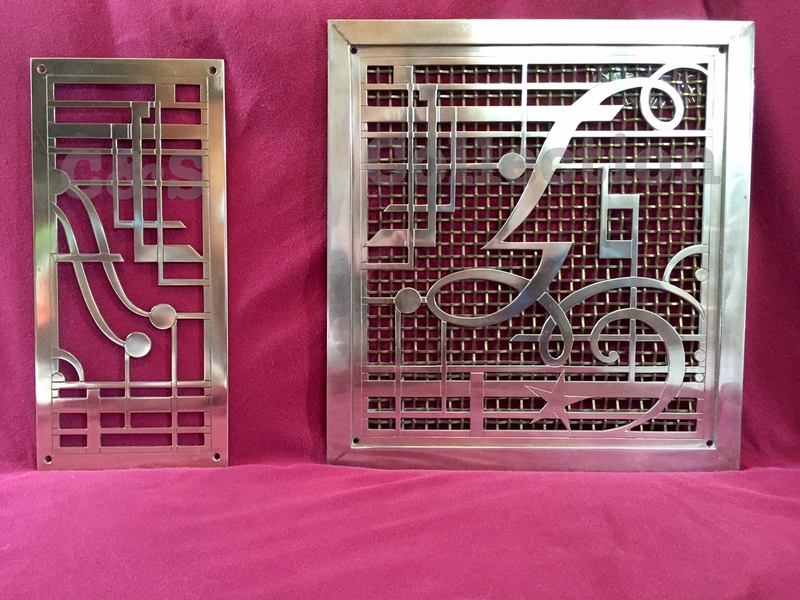 We got these finished just in time for Thanksgiving 2015. Craig was so pleased with how they turned out and I love them. I love the blond sycamore wood and the fine styling of these chairs. 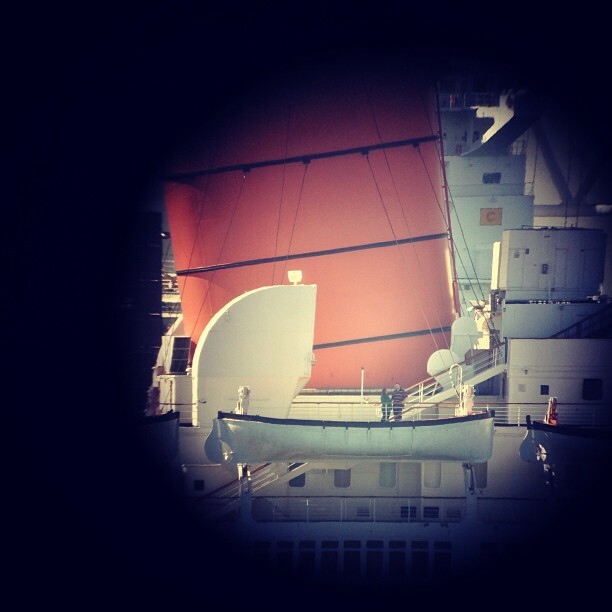 Can you imagine how grand the dinners were on board Queen Mary during her hey day? 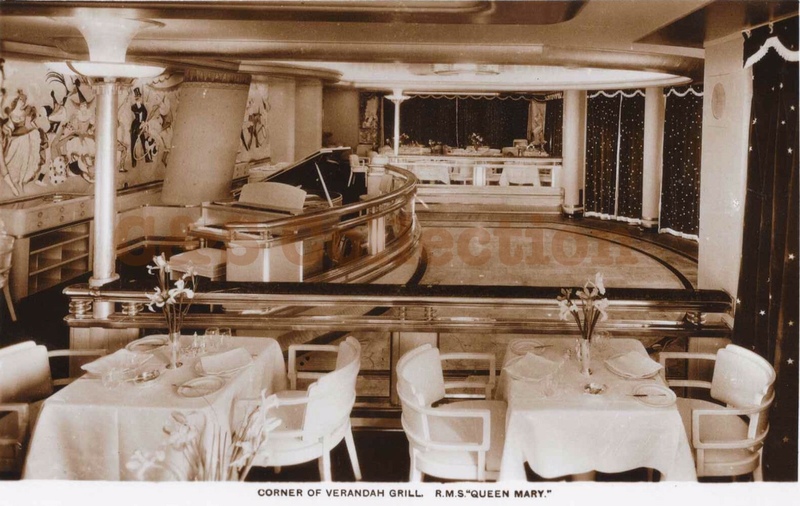 It would have been quite a show and delightful journey of taste and wonder for us today, and yet at the time, this was was expected as the norm for First Class dining in the 1930s – 1950s. The First Class Restaurant is now called the Grand Salon and continues to be one of the most well used and loved rooms on board Queen Mary today. Many people are aware that Craig Anderson was recently killed in a tragic work accident. 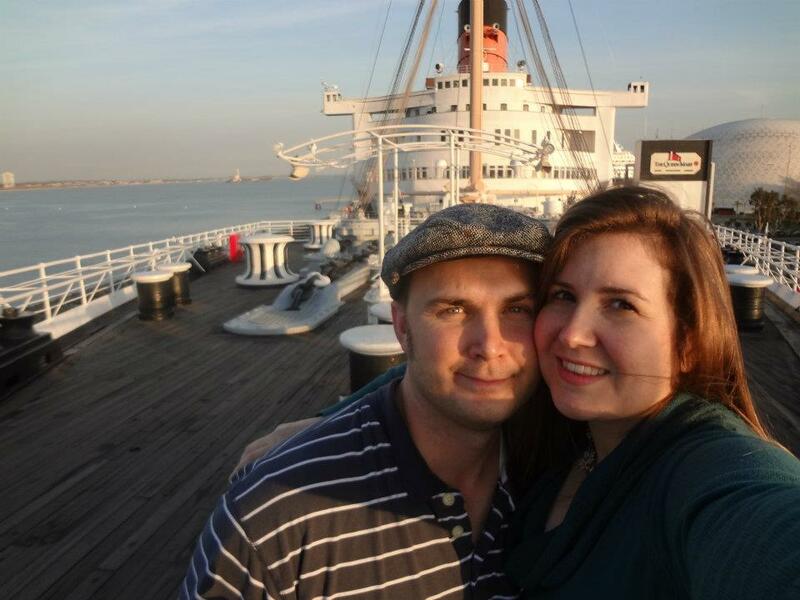 2015 should have been one of the best of our lives as we welcomed a baby boy to our family and we had worked hard towards some wonderful goals (on this blog, with the Queen Mary collection, and in our personal lives), instead it ended in heart break for me and our son as the person we loved the most the world was taken away. How does one move forward from this? I’m not sure I know, except that in the weeks since his passing I’ve been trying my best to move forward and act as though Craig was my guiding force. Craig taught me so much about interests and dreams. My dreams were fairly pedestrian until I met Craig. He was someone who lived dreams and who worked incredibly hard to bring his dreams to fruition. He was the hardest working person I’ve ever known and one of the most enthusiastic persons about his interests. He was always thinking of ways to bring his passions into reality and this little blog was one that he really enjoyed. As I’ve thought about what to do with this blog and Craig’s collection I came to a realization. Queen Mary isn’t just Craig’s collection, it’s mine too. His dreams were not his alone, they became mine. In his memory I am going to continue with collecting and I am going to continue this blog. This blog will go on and probably change in some ways from what Craig envisioned, but I will keep it going for him. Because I love him with my whole heart and I love the life and dreams he has given me. I’ve been doing this blog for three years now and I wanted to put something special up to mark the occasion. 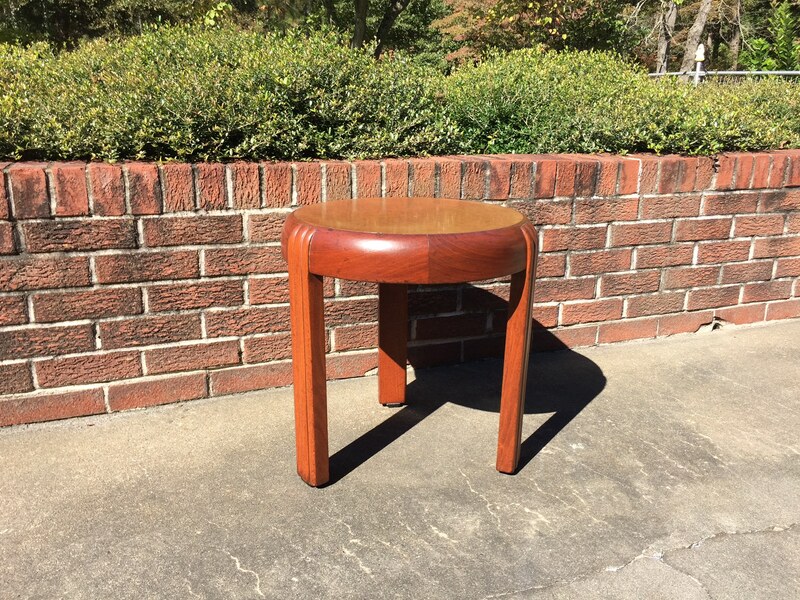 I’ve been very fortunate the last few years to find some really great pieces and this table ranks very high on that list. This table comes from the Third Class Lounge and is made of mahogany. It’s very simple in design, but has just enough art deco style with the rounded edge and embellished leg. In my eyes it is hands down the the best table for third class. 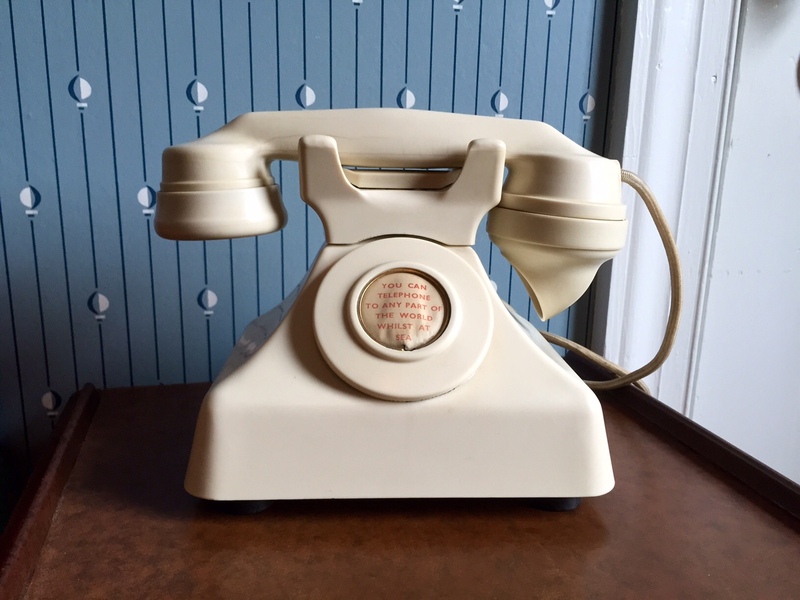 Its no secret that one of my favorite things to do after finding a new piece is to scour as many interior photos as I can to search for that exact piece photographed. Sometimes I get a break, more often then not I can’t find it. 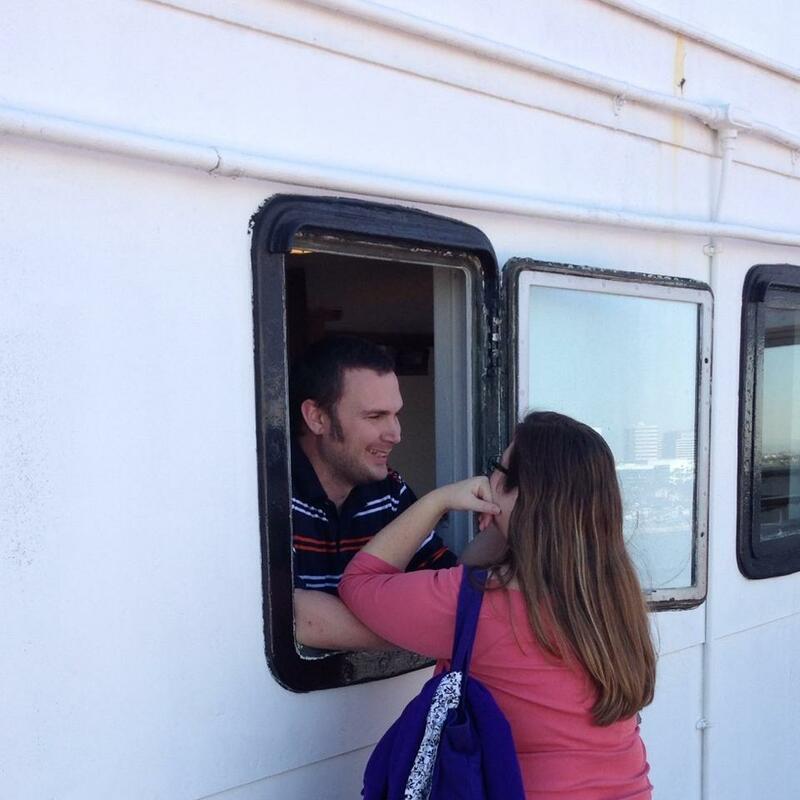 However, this time I lucked out thanks to Eric Sauder. Here is a photo of this table on board (as you can tell by matching the wood grains). It’s so amazing to see a photo take almost 80 years ago, and then here it is today. Another quirky thing I like to do with my collection is make pairs and matches (for instance a chair and a nightstand from the same cabin). Here is a great matched set, three lounge tables together. One from first, one from second and one from third class. Words cannot describe how happy this makes me. And last, but not least, the markings underneath and papers that were given out during the auctions in the late 90s. 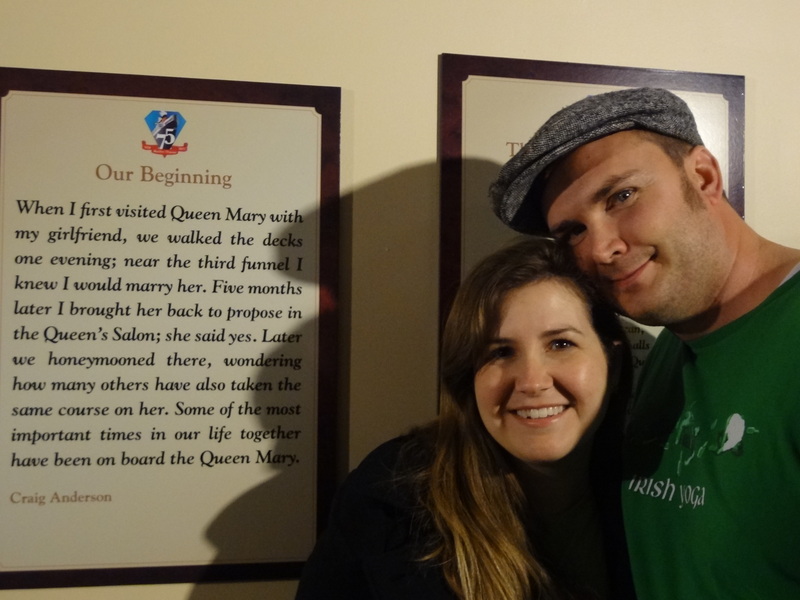 The last three years have been an enjoyable ride with blogging about Queen Mary. This is a wonderful hobby to be in. I’ve found some amazing discoveries and made some great friends. This item is really special and one I’ve been wanting for a long time. 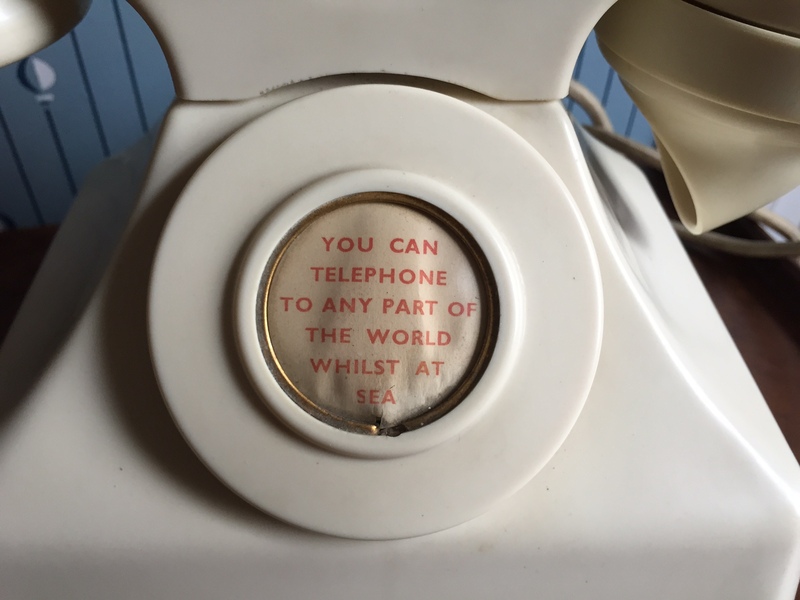 It’s so iconic and not just because of it’s great 30s feel, but because Queen Mary was one of the first ocean liners where you could telephone around the world. 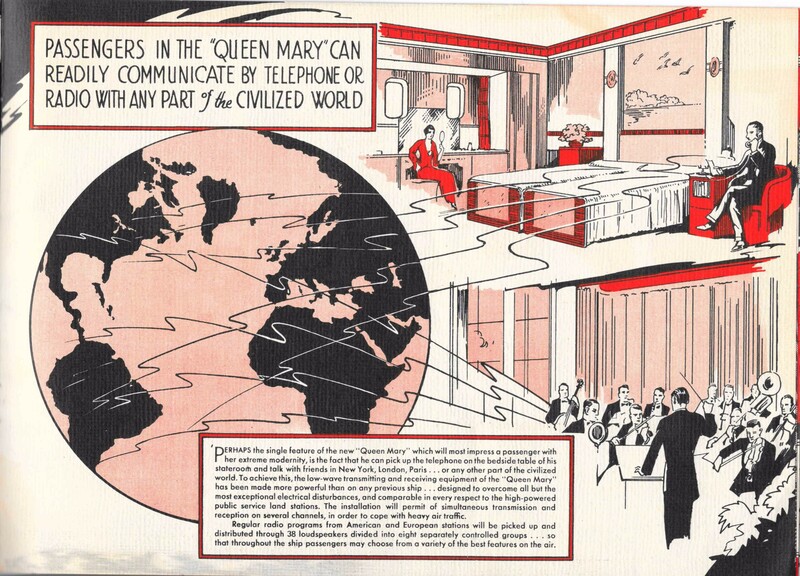 Cunard was so proud of this new technology that they included a feature of their telephone system in RMS Queen Mary: A Book of Comparisons. 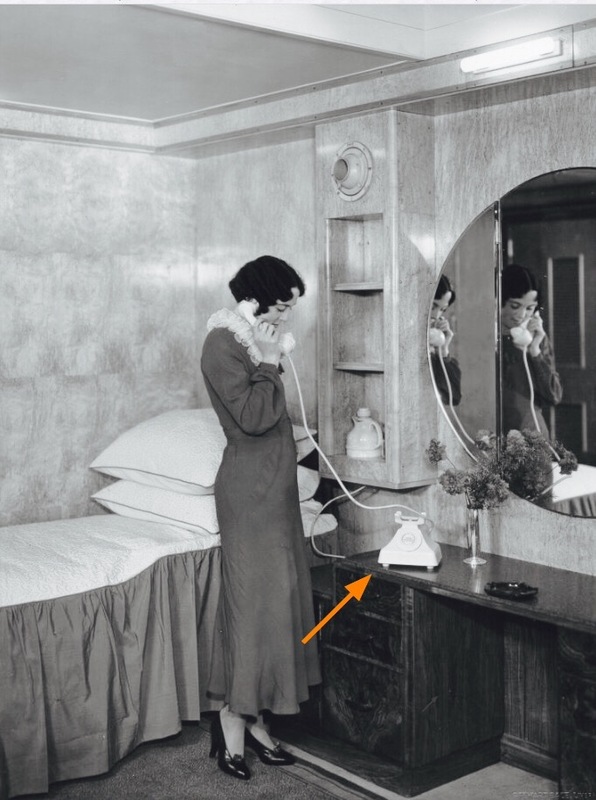 Here’s an historical photo of a similar phone in use on Queen Mary in one of her luxurious first class cabins. I was able to wire so that it would work on home phone lines. I love the buzz it makes, hearing it sound again brings it back to life. 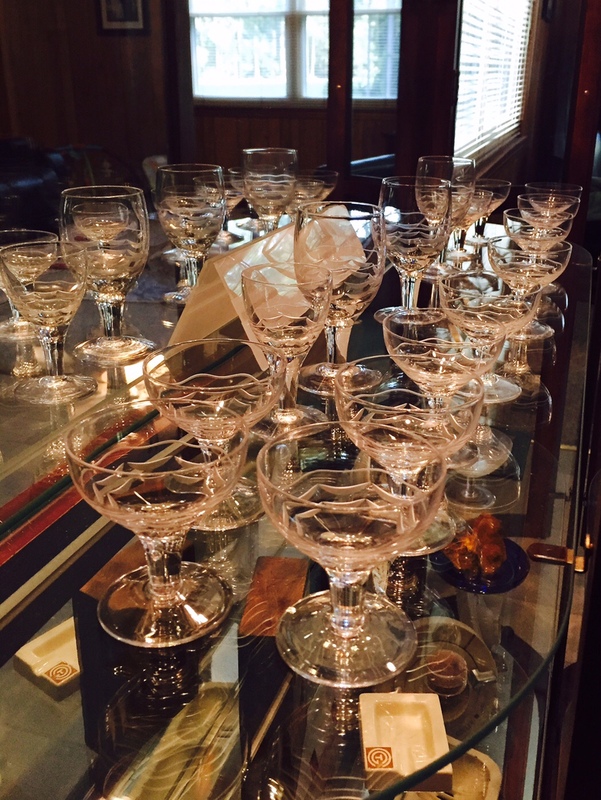 A while ago my wife told me she wanted some crystal glasses from Queen Mary, and then it became my mission. I was very happy when I came across a couple of lots. 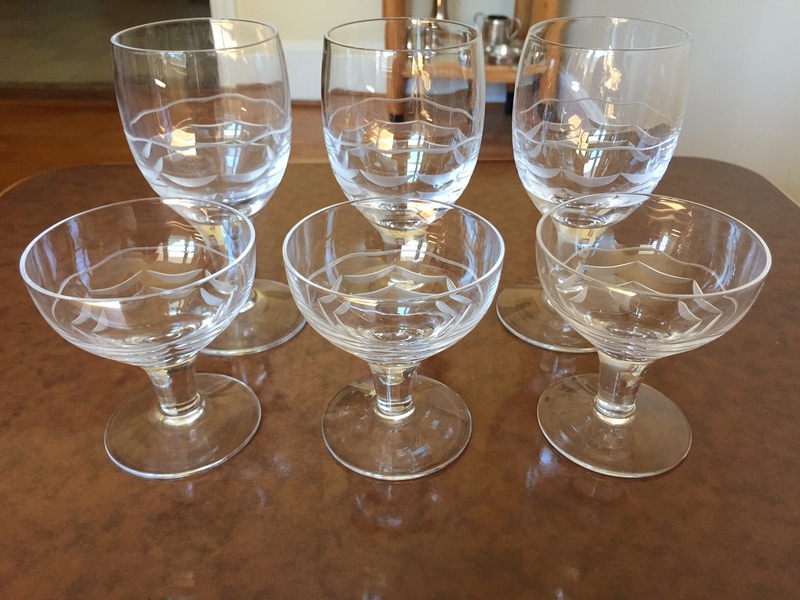 Cunard used a great etched wave pattern on all their crystal glasses that’s just wonderful. It’s a very simple, but elegant design. 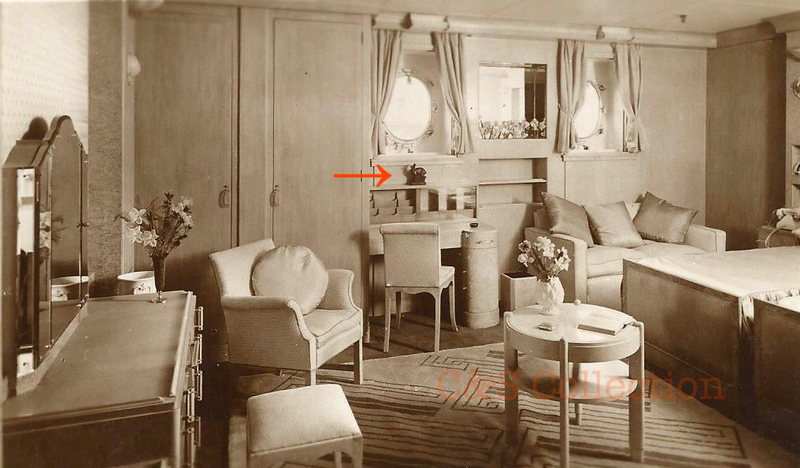 This wave design was repeated frequently throughout Queen Mary in her fittings and decor. 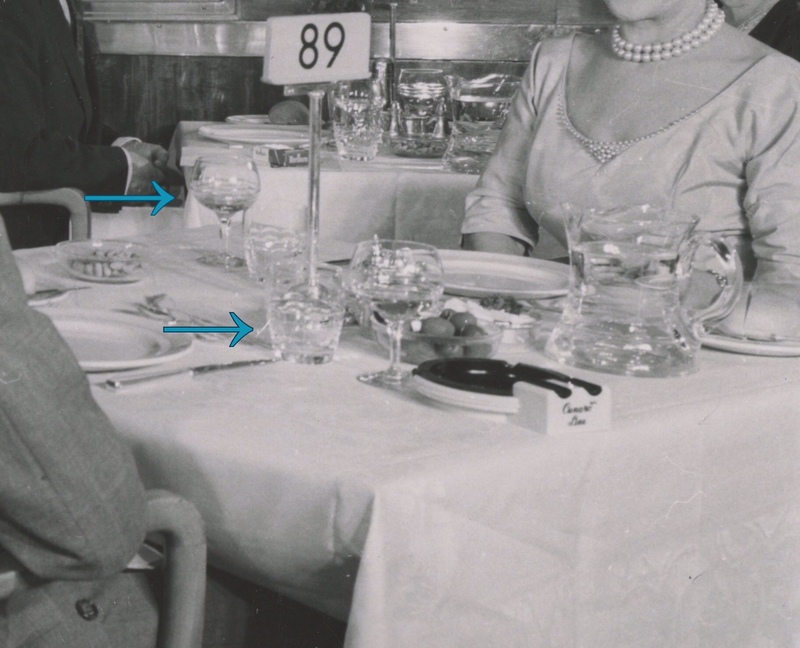 Below is crystal in use during her in-service days in the 1st Class Restaurant. I’ve seen at least 10 different shapes, and I’m sure there are many more. I would love to talk with a steward and find out what each glass was used for. John Skeaping was a well-known artist in the 30s. He was quite successful and he was asked to create some of the artwork used in the Starboard Gallery on board the Queen Mary. 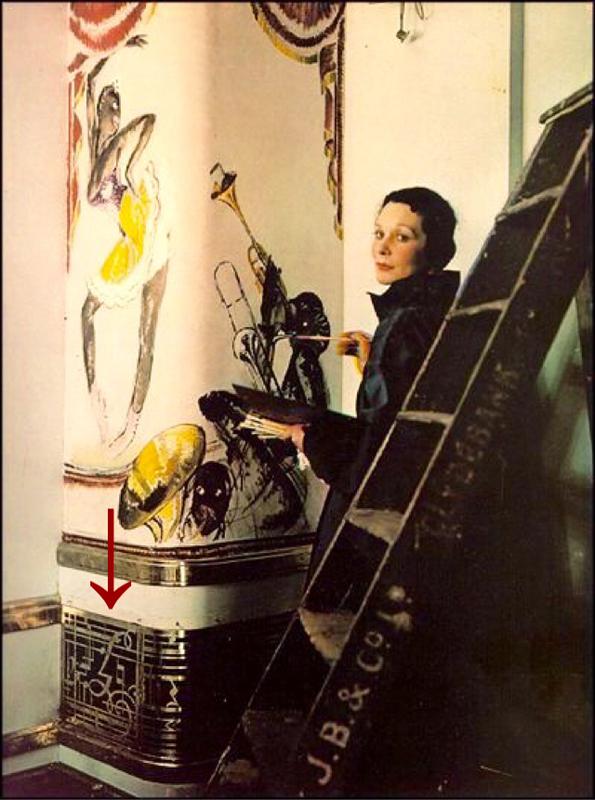 Sadly that artwork was removed from the ship. 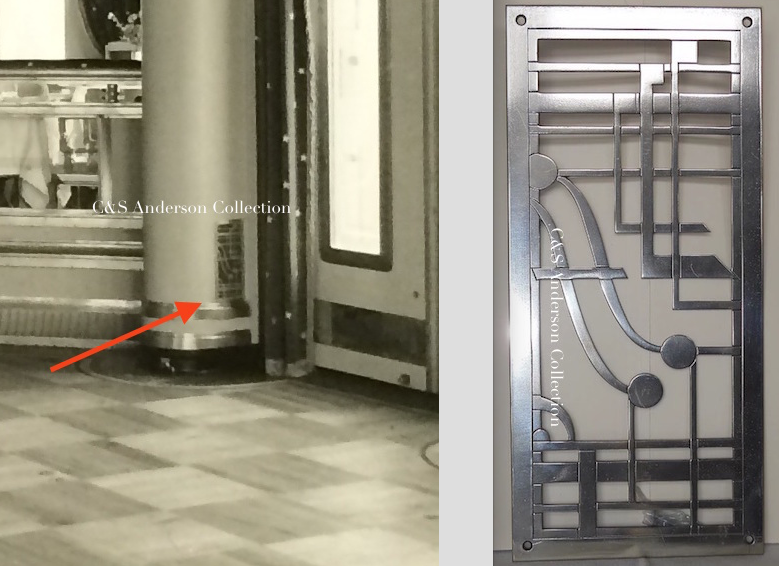 In addition, Skeaping, worked with Wedgwood to design a series of animals sculpture in an Art Deco style. These sculptures decorated the suites on board the Queen Mary. Here we have a sitting and standing duiker, a seal and a monkey. There are also a kangaroo, bison, polar bear, fallow deer, and several others. I have come to really love Skeaping’s sleek and styled design and enjoy collecting some of the sculptures from originals series that was produced by Wedgwood in the 20s and 30s. 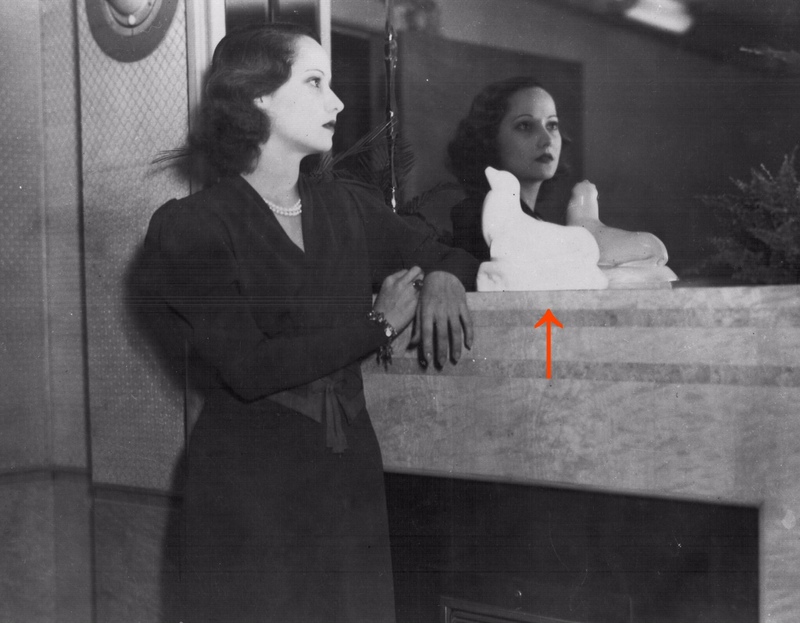 I also enjoy discovering new historical photos of the suites accented by Skeaping’s statues. The aren’t very big, and they are simply designed, yet they add so much to the style and loveliness of the suites on board. Little touches like this are what made her, in my eyes, one of the greatest ships of all time.